All Brentwood homes currently listed for sale in Brentwood as of 04/22/2019 are shown below. You can change the search criteria at any time by pressing the 'Change Search' button below. If you have any questions or you would like more information about any Brentwood homes for sale or other Brentwood real estate, please contact us and one of our knowledgeable Brentwood REALTORS® would be pleased to assist you. "Presenting Tamayo Estates, the East Bay Area's most prestigious Estate. ( 44 acres with 4 sub divided lots ) ~ This dramatic Estate slowly reveals itself as you enter the properties private front gates. The driveway to the Estate boarders a producing vineyard with profitable vines. As you start your drive you will find a barrel room, or tasting room for your private entertainment. Along the drive there are 4 expansive size lots. The property is surrounded by sophistication and elegance. The roundabout driveway takes you to the inviting Mediterranean home of Tamayo's personal property . Unparalleled warmth as you walk in the front door, with style and grace. The home was designed strategical around the breathtaking views of Mt. Diablo. The property offers 6 large bedrooms, movie theater and private Au pair quarters. Tamayo's vineyards was developed with exceptional thought of vision. The Estate could be used as a personal home or and investment venue opportunity." "Luxuriant living on La Condesa !! This grand 5 bedroom and 6 bathroom modern farmhouse estate in Brentwood Hills is a dream home that brings together a rustic and industrial feel with the elegance of modern living. Spanning 5,852 SF, This sophisticated smart home residence is graced with control lighting, a high end sound system, intercom and security cameras. Hardwood floors and intricate moldings deliver chic throughout and open living includes an elegant formal dining room, awe-inspiring chef's kitchen, den/family room with glass doors to the backyard, and home office with stunning build-ins. The celestial master bedroom includes vaulted tray ceilings, enchanting windows, a terrace overlooking the mountains, and immaculate ensuite bath hosts antique brass finishes, soaking tub, separate glass shower and makeup station. With perquisites including a movie theater, butler's kitchen, walk-in pantry and expansive wine room, the capacious indoor-outdoor living layout was made for entertaining. Even more, the backyard hosts a raised infinity pool, outdoor flash-mount patio heaters, fire pit and deluxe stainless steel grill. 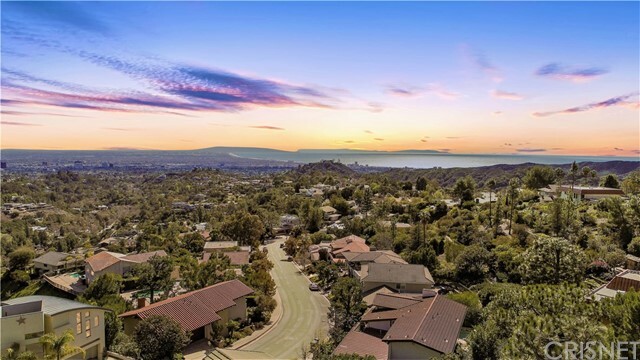 Within the Kenter Canyon School and Palisades Charter district and surrounded by a tranquil landscape, this home is truly impressive." "Older home that has been updated shows a lot of charm in country setting. Huge barn, tons of parking, out buildings. Part of the property is rented to strawberry farmer, part is rented to Nursery and the home is rented. Home has full basement and fenced yard." "Gorgeous home completed in 2014 in the heart of Brentwood. This home features an open floor plan, cozy warm family room with fireplace connected to formal dining area and leads you to a beautiful gourmet kitchen, island kitchen is covered with fusion marble in Breakfast area. Top quality Stainless steel appliances. Stunning spacious formal living room. 2 bedrooms featured on the main floor. The upstairs consists a of private master suite with 2 separate walk in closets and 2 separate bathrooms , one with shower and one with Jacuzzi and Plus 3 Bedrooms , 3 Full Bathrooms. The backyard features, covered patio, SEPARATE GUEST HOUSE, BONUS ROOM Basement can used as an entertainment room or gym room. Gated entrance with 2 car garage plus LARGE PARKING SPACE. SECURITY SYSTEM throughout the building." "RARE OPPORTUNITY IN THE PRESTIGIOUS MANDEVILLE CANYON! For the first time ever on the market, welcome to this diamond in the ruff. Tucked away in the hills, take a drive up the long private driveway to this 4 bed, 3 bath home surrounded by panoramic jet-liner views of the ocean and city lights. This property sits on one of the biggest lots in the canyon and is a flag lot which adds to the exclusive privacy. Have the opportunity to truly design the home of your dreams. The property is equipped with central heat, some dual pane windows, and views that will mesmerize you. For added convenience, there is a spacious bedroom downstairs with private access to the side yard. There is also a 2-car attached garage with direct access and a perfect opportunity to build an observation deck on top of. Enjoy the large, private backyard which is graced with a sparkling pool, above ground spa, lush landscaping, and ample space to build on. Mandeville Canyon is a prime location to say the very least. This is a great neighborhood to call home." "Brand new custom home. Formal living and dining rooms. Large open kitchen with stainless steel appliances, marble counters and giant island overlooks the spacious family room. Master features double shower with separate jetted tub, two large walk-in closets and it's own exit. All other bedrooms are spacious with large closets.The exterior is professionally landscaped with a tropical feel. Wrap around drive way and plenty of room for boats and RV's." "Stunning hilltop estate Just Listed! Every attention to detail as you enter the property with automatic large iron gates, and a private road to your own oasis. 2 AG buildings/shops (1-1,800 sf with car lift, 1-30X70 2,100 sf, 1-24X30 open front for hay storage or RV parking). New interior and exterior paint, new windows, wrap around country porch with views! The kitchen is any chefs dream with high end stainless steel appliances, new custom cabinets including multi refrigerator fronts, huge walk in pantry, 2 granite islands for entertaining and the cooktop island has a pot filler! The master suite has new sliding glass doors which lead to a balcony and more views. The baths have both been updated with trendy and high end fixtures and look more like a high end spa! The family room also has views and high vaulted ceilings with a combo dining room, perfect for the over sized farm table. For more space, there is a large formal living room as well with new large picture window." "Trilogy at the Vineyards-55+ Resort Community-Tropez Model located in Bordeaux Village. A Carl Lagoni Signature Design with soaring ceiling heights. Built 2012. Two Bedroom. Two & Half Baths. Office/Den. Upgraded throughout. Custom window coverings. Crown Moulding. Upgraded Light Fixtures. Too many upgrades to list. Kitchen features granite counters, stainless steel appliances, built-in refrigerator, double ovens & so much more. Formal Dining Room. Great Room with Fireplace & Glass Doors that open to custom designed rear yard. Private swimming pool with rock waterfall & spa. Stone water feature. Outdoor Kitchen. Multiple sitting areas.Premium corner homesite affords privacy for outdoor living. Transferable Leased Solar System. Three Car Garage with Built-in Cabinetry & Epoxy Coated Floors. Don't Miss This One!! It is a dream come true!! Note: Additional photos shown in Media Link/Virtual Tour"
"10 acres with a 1 acre Lake/Fishing Pond ready for a ranch family!! Spacious open floor plan perfect for gatherings & family dinners on the farm! Kitchen features Granite counter tops, built-in gas stove, built-in Gen-Air electric oven, SS appliances & microwave. Plenty of kitchen cabinets & pantry closet! Master bedroom w/retreat, His & Hers Walk-in closets w/skylights, & Jetted Tub. Deep 2 car garage w/storage cabinets. Large 4 stall horse barn w/tack & wash area, plenty of storage for hay. New water heater & Deionizer (10 yr warranty). 500 Gallon propane tank, concrete siding, new pump & float on septic & emptied 11/2018 (pressure dose system-4 chamber-4000 Gal tank), soft water system, 56 solar panels, & more!! Look at amenities list!" "Immaculate Tropez model with panoramic sweeping city views from this premium Trilogy lot! Elegant eastern shaded rear yard with built in outdoor kitchen and stamped patio! Ideal for outdoor dining & entertaining! Ornamental steel fence. Gourmet cook's kitchen that includes General Electric Monogram kitchen appliances and a gas caf style cooktop. Electric GE oven equipped with a warming drawer. Opulent slab granite kitchen countertops. The home has a full-wet bar with refrigerator ideal for entertaining. Beautiful limestone tile. Spacious master suite and bathroom with a heated & jetted tub. The home s expansive great room has exterior power shades. Golf cart bonus..come live the fabulous Trilogy lifestyle!!" "This is a prime location for a developer. Currently on the market is 5 acres zoned low density. All level, minutes away from shopping, schools and other new communities. Close to Highway 4 bypass and the new bart extension." "SUPER SPACIOUS GORGEOUS HOME! Over 4,500 square feet of living space and nearly brand new (2018)! Beautifully appointed with many upgrades throughout. Bedroom with full bath downstairs, formal dining room, bonus room and an over sized family / kitchen combination. Kitchen includes quartz countertops, upgraded cabinetry, farmhouse style sink, stainless professional appliances, butler s pantry and wine refrigerator. Upgraded flooring and staircase banister. Upstairs laundry room with sink. Amazing backyard with pool/hot tub potential! Outdoor California Room with spacious patio areas, oversized side yard; the perfect garden spot. Tons of potential. Fantastic location, close to schools, shopping and dining! Must see!" "Look no further for your new home paradise! Entrance opens to a grand foyer with twisting iron banister staircase, tile floors and colossally high ceilings. As you enter there is a framed section of the formal living room that is perfect for a home office. The Eat-in kitchen features stainless steel appliances and opens to the cozy family room with wood burning fireplace. Junior Suite downstairs for your guests with stall shower in en suite bath. Romantic master bedroom complete with gas fireplace, jetted tub, dual vanities, and a walk-in closet big enough to be it's own bedroom. The true spectacle of this property is the paradise of a back yard spanning the 14,395 square foot (.33 acre) lot. Palm trees, play structure, garden area, and a NEWLY resurfaced pool with waterfall feature. 5 Car Garage provides ample space for parking/storage. Save your wallet from utility bills with your 10 MWh/year SOLAR PANEL system. Walking distance to Streets of Brentwood Shopping and easy HWY 4 access." "Spectacular is the best word to describe this home. Owner is master at woodcraft and has upgraded most of the woodwork originally supplied by the builder. The entrance with its' high ceilings, grand cherry wood and iron staircase make a statement from the entry. The floors throughout the home are beautiful diagonal cherry hardwood. Attention to detail includes 7 inch crown molding, chair rail and large baseboards. Plantation shutters throughout the home. Family room and kitchen combination will impress any gourmet cook with the high end appliances, farm sink, custom cabinetry with wine fridge. Upstairs bedrooms, including a jack and jill bath plus a large loft and door leading to outdoor balcony. Spacious master has retreat. The backyard is perfect with large in-ground swimming pool with sheer descents and large rock waterfall, impeccable landscape and above ground gardening. Need storage? 4 car garage plus workshop area, both sides have side yard access and storage shed." "4 Bedrooms 2 Bathrooms 1702 Square foot Home. New paint in and out. New floors and new bathrooms. Country living in Knightsen but very close to Brentwood. Privacy! Property is two parcels sold as one. New pump on the well. Open House Saturday, April 20th 1 p.m. to 4 p.m. and Sunday, April 21st 12 p.m. to 3 p.m."
"French Country Farmhouse charmer with an amazing attention to detail! Gorgeous custom cabinetry throughout this Carl Lagoni Signature Design Atrani model home. Built in 2014 with beautiful soaring ceilings and open concept this 2,042 sf, 2 Bedroom, 2.5 Bath home is both spacious and inviting. Custom Craft Room for your projects and a Gourmet Kitchen with upgraded JennAir appliances for your cooking & entertaining. Hardwood floors and tile throughout. The backyard has a covered patio and a magnificent professionally-designed water feature that provides a soothing, peaceful atmosphere. Nestled in the exclusive Trilogy Vineyards that offers a bevy of amenities such as pool, spa, gym, tennis, pickleball, bocce, & social activity. The house is plumbed with Tankless water heater, whole house Insta-Hot, Reverse Osmosis, water softener, and solar energy systems. This home has so many designer and custom touches to describe that you must come tour this is truly a unique home to appreciate!" "Just Listed! Spectacular Single Story across from Steeplechase Park! Premium (near 1/3 of an acre) corner lot with sparkling pool on side yard! Motorized, heavy duty screen enclosure on California Room with TV hookups and Gas Fireplace! Chef's Kitchen with upgrades galore! Owned Solar! A must see!" "Beautiful newer Minori model in the established gated 55+ Trilogy at the Vineyards community across from the Wine Barn. Lovely hardwood floors throughout and large granite island in kitchen perfect for entertaining. Relax by the fireplace in the outdoor courtyard while basking in the California sunshine. Enjoy the vineyard views from your front yard. Trilogy amenities include clubhouse with two pools (indoor and outdoor), state of the art gym, restaurants, event center, billiard room, library, tennis and pickle bar courts, bocce courts, large outdoor chess, luxurious spa with multiple packages, and a variety of walking trails." "COMPLETE REMODEL! No room is untouched, from flooring to custom light fixtures! Gorgeous features include tile flooring downstairs and bamboo flooring up. Stunning Kitchen with granite counters, new cabinets, custom backsplash, upgraded appliances, pot filler, reverse osmosis. Wet bar and wine fridge outside of formal Dining Room. Enjoy the Master Bedroom by your fireplace with custom tile surround, feature wall and wainscoting. The Master Bathroom is reimagined with a new freestanding tub, marble makeup counter, glass barn style door, built-in closet organizer. Relax in the expanded frameless shower, with spa like settings! All other baths remodeled too. Bonus Office downstairs and a Loft up with custom glass doored closet. Entertain in the tranquil yard that includes a pergola with electricity, firepit, shed and new sod. Great court location!" "Don't miss this beautiful almost brand new modern home available in a great neighborhood walking distance to schools and parks. Built in 2018 this home is very energy efficient with owned solar. Open kitchen with quartz countertops and stainless steel appliances with a big eat in kitchen for those family dinners. including a brand new reverse osmosis water filter. An entertainers backyard with full panel sliding glass doors leading out to your gorgeous covered patio with a cozy fireplace for those cool fall & winter nights. A large side yard plus a rare four car tandem garage sure to excite anyone who wishes to park more than just a car, in here you have plenty of space for a workshop or bike parking no more fighting over garage space. Upstairs you have a big bonus room plus three bedrooms including a jack and jill bathroom. A large master retreat with a dream walk in closet and master bathroom with separated vanities and a sunken tub to relax in. Home will be open Saturday 4/13 12-2pm"
"Lovely 55Plus Community Entertainer's Dream! Huge kitchen, with oversized island that seems to extend through to lovely outdoor patio. Private terraced backyard. Light filled great room with soaring coffered ceiling. Fireplace in master. Cherry floor with built-in cabinets in office. Jacuzzi whirlpool tub in guest bath. Epoxy garage floor. Frig in kitchen and garage included." "LUXURIOUS, LIKE MODEL HOME In Deer Ridge With A SPECTACULAR Views! BEAUTIFUL Staircase Iron Banister With Cherrywood! Mediterranean Front Door, GRAND Entry Foyer, 19 Foot Ceilings, Separate Formal Living/Dining Rooms, Loft, Library/ Office With French Doors, Tile & Wood, Flooring, Updated Carpet, Surround Sound, Include Window Treatments, Shutters, Custom Crown Molding, Build-In Custom Closet Organizer on the Master Closet, Build-In Custom Office Cabinets, 4beds & 3baths, Great Familyroom Gas Fireplace With 6Ft Cherrywood Mantels, Open Kitchen with Island, Granite Counters top, Stainless Steel Appliances, Walk-In Pantry, Front Porch Court Yard With Custom Iron Gate. Walk-In Master Closet, Master Suite, Sitting Area, Deck With Amazing Golf Course views & Mt Diablo! Jetted Tub And Double Sinks, Peaceful No Rear Neighbors. This Home Offered With Optional Den at Tandem Garage Approx 3,312 Sq. Ft. A Must See!" "Fabulous home located in the gated Resort Community of Trilogy Vineyards. This rare Costa Dorada model, boasts with vaulted ceilings, tons of natural light, spacious great room, dining area beautiful gourmet kitchen with large granite entertainers island, and walk in pantry. You will love the Master Suite with it's beautiful hardwood floors, his & hers vanities and walk in closet. The second bedroom has lot's of privacy with it's own full bath, located on the opposite side of the house. The home also has plantation shutters, retractable awning, and a extra large two car garage. The hobby/den is great for all you odds and ends. The rear yard is meticulously maintained, you will love the gas fireplace & fountain. Trilogy amenities include two pools, tennis courts, full gym, bocce courts, a private restaurant, such a great place to live with a lot of activities to keep your schedule full." "Welcome home to golf course resort living in beautiful Deer Ridge! Enjoy no rear neighbors in this entertainer's dream home with custom touches throughout. Downstairs has formal living and dining rooms along with a large bedroom and full bath. The kitchen is fully updated with s/s appliances, island and large walk-in pantry. The eat-in-kitchen will WOW you with the awesome barn door! Relax and enjoy an enormous family room with shutters, crown molding and high ceilings. Speakers are in the living room, family room, loft and master! All 4 bedrooms are roomy with tons of natural light. The large loft could be turned back into a 5th bedroom with room to spare. The master has the ultimate wow-factor with a gigantic walk-in closet and huge bathroom. Cabinets and ceiling storage in the garage can stay. The exterior is drought-friendly and conveniently located on a corner lot, close to schools, freeway, restaurants and shopping. Open house Saturday, 4/20, 1-4."